For a lot of people, coming to Bora Bora is a dream come true. This island wakes their curiosity and will to share unforgettable memories. But what makes it so special and how to get to Bora Bora? Let’s go and find out. Stretching on an area of 29.3 km², Bora Bora is a part of the Society Islands of French Polynesia. It lies in the waters of the Pacific Ocean just north-west of Papeete. Being famous for the breathtaking lagoons and reefs surrounding it, the island attracts huge numbers of tourists every year. That’s mainly because of the unique bungalows sprinkled above the water as well as the remains of an extinct volcano. Not only that, Bora Bora has one of the best luxury resorts in the world and offers attractions and activities that you can’t possibly resist. To find out more about them, check out Tahiti’s website and for information on hotels head here. Every paradise on Earth has its challenges and so does Bora Bora. Beware of falling coconuts while passing under palms, some pot holes on the roads and eels while snorkeling. If you have longer hair (I’m thinking mainly of the ladies now), take a hat or tie a ponytail to protect from the wind. Other than that, the only problem you might face when getting there would be airplane service and jetlag. How To Get To Bora Bora From The U.S. The best way to reach Bora Bora from any part of the United States is by taking a plane. This flight will be the most exciting and wondrous air travel you have ever been through. Some of the bigger US cities that have flights to Bora Bora are Los Angeles, Las Vegas, San Francisco, New York, Dallas, Seattle, Phoenix, Baltimore, and Honolulu. That means that you can find flights from multiple parts of the states. Not to mention that they’re quite affordable for everyone. You only have to bring your luggage and enjoy the flight. However, to get to the flights to Bora Bora, you have to go to the French Polynesia’s Faa’a International Airport on Tahiti first. From there you will head toward the Bora Bora airport, but not before flying above all the islands in French Polynesia. Seeing them from up above with the lagoons sparkling around them is truly magnificent. You just have to choose the best side of the plane to sit in. As that is available only to the first people that board, make sure to arrive at least 20 minutes early to the airport. Although you’ll see a spectacular view from the both sides, the left one is most commonly the great one. To find out more about the best flights and hotels head here. Bora Bora is accessible through the Australian airlines, too. It is not as far as it may seem. Moreover, the flight from Sydney lasts 8 hours and passes like in a blink. That is mostly thanks to the magnificent view of the ocean below you. In case you’re wondering which airlines you can take on the east coast of Australia, one of the most famous are Air Tahiti Nui and Air France. Apart from Sydney, you can get to Bora Bora from Melbourne, as well. Tullamarine Airport is the most suitable for flying to this exotic island for it perfectly connects the one stop flights between Sydney, Australia, and Bora Bora. Once you take off, you’ll forget about all your troubles and enjoy a pleasant flight. You don’t have to worry about that at all. And when you reach the French Polynesia soil, everything will be worth it. You’ll arrive at the Motu-mute Airport in Bora Bora, which offers nonstop flights to 7 cities. In fact, around 266 domestic flights depart from it every week. Then, from it, you’ll be redirected to a place on the island. That’s your target, right? As you’ll need a hotel when you arrive there, I offer you this site. It contains the best hotels and offers for you to choose from. Getting to Bora Bora from New York City can be achieved by taking an airline that suits you best. You can find the most affordable ones here and choose which to take. Don’t run away from the business class as it’s completely pleasant and nice for this trip. Whatever you choose the trip to Bora Bora will last for about 12 and a half hours. That would be something like two meal services on the plane and six movies or so. It sounds long and a bit boring, but believe me it’s all worth it once you first see French Polynesia’s ground. The flight from JFK to Tahiti is a nonstop one, making this journey totally reachable. For some reason, the arrivals are usually in the small hours, so you’ll probably have to find a hotel to pass the night in the capital Papeete. Sheraton Hotel is great for a short stay, allowing you to even take a nap for four hours and go again to the airport fresh and ready for the remaining bit of the trip. By that, we mean the flight to Bora Bora that won’t last more than 45 minutes. Before taking off from New York, remember to bring your swimsuit and sunglasses. After all, one of the main attributes of Bora Bora is, of course, the strong sun. Dallas and Bora Bora are connected through the airports close to the both places. It’s on you to decide which one to go to and start your magical journey. Check this site for the cheapest tickets. 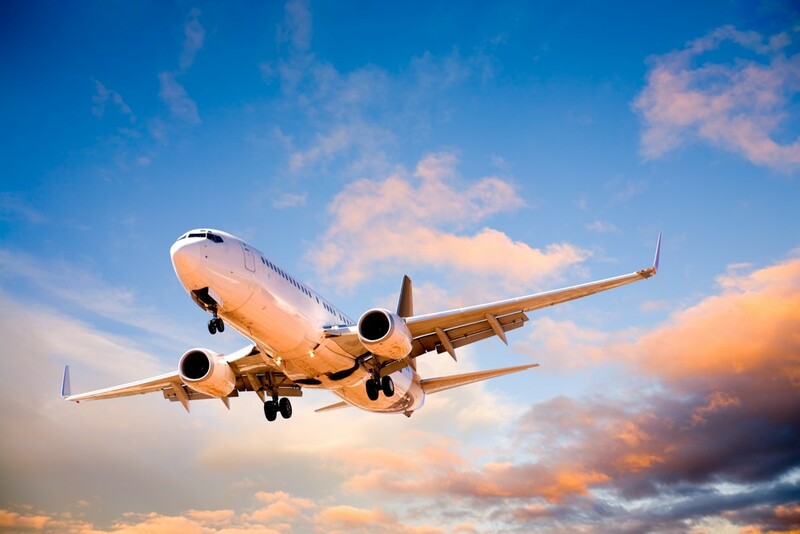 The nearest airports to Dallas are Dallas Love Field (DAL), Roma Airport (RMA) and Dallas-Fort Worth International Airport (DFW), You can access the island of your dreams by heading to any one of them. But before you book, consider that the best time to travel from Dallas is during weekends because you avoid surcharges. Also, don’t travel before some major holidays to escape the busy air traffic and book your tickets at least 21 days in advance to get the cheapest deals. Once you’re in the air, your flight will last for around 10 hours and 25 minutes and take something over 7.900 kilometres. Although you can catch a direct flight from Dallas to Bora Bora, it’s a bit harder the other way around. There are have very few nonstop flights from Bora Bora. That’s why you’ll have to take a connected flight and stop by a location on Tahiti. that flies directly to Dallas. For all information on hotels on the island, head over to Expedia. Reaching Bora Bora from Boston takes one of the longest flights. These two are separated by more than 10.000 kilometres, making the direct flights rarer, but there nonetheless. You can find cheap flights here. Having said that, the trip lasts for about 13 hours and 3o minutes, which is pretty long, if you ask me. However, in no case should that discourage you, as the airlines offer superb service and activities to pass the time. After this, it’s expected that the flight prizes will revolve around more than $2.000. That’s not such a big deal compared to the dream holiday you’ll go to and the whole experience. Mind that in January and during the weekdays, you can get the lowest fares. If you’re wondering about the closest airports in Boston and Bora Bora (and you must be since you’re reading this), the top two for Boston are Boston Logan International (BOS) and Boston Portsmouth-Pease (PSM). As for Bora Bora, you’ll probably land on Motu-mute Airport (BOB). Finally, the nonstop flights to and fro can be very few, so you’ll have to land in Papeete on Tahiti and then head to Bora Bora. In that case, the arrival time may be either too late or too early, opening you an issue to spend the day or night in Papeete. Here are some hotels to help you out. 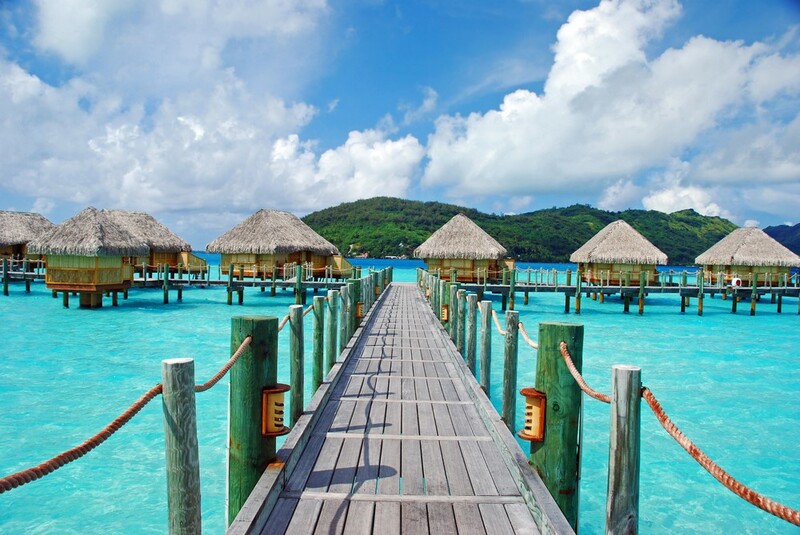 From Los Angeles, you can get to Bora Bora only by arriving on Tahiti first and then going to the island of wonders. Air France and Air Tahiti Nui are perfect for your taking off from LAX. They offer nonstop flights to Papeete – the capital city of Tahiti. Their service is without doubts one of the best out there with the staff being at your disposal during the whole journey. That’s a very valuable rarity, you must admit. 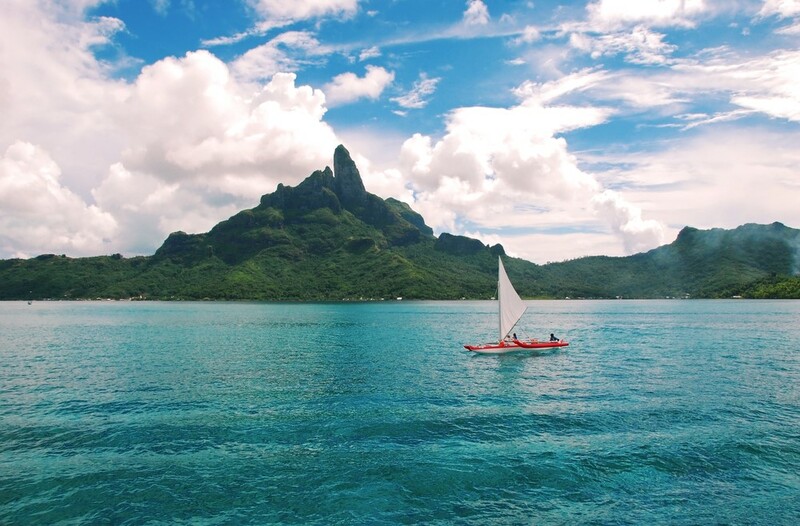 Once you step on Tahiti’s soil, Air Tahiti will take you further to the desired location. That is Bora Bora with its magnificent lagoons and floating cottages that make all the trouble of getting there pay off. But before that, you might need a hotel to stay in during the time gap between the arrival on Tahiti and the taking off to Bora Bora. That’s why take a look at these hotels in Papeete. For this journey, carefully observe all facts and consider hiring a Tahiti specialist. They will take care of everything connected to your trip. Starting from airfare to transfers and accommodations, they’ll handle it all and book you the most exciting yet affordable trip. Mind that French Polynesia is very expensive, so you’ll need a travel agent to help you save your money as well as your time. To help you with that, go to Tahiti-Tourisme. If you want to go to Bora Bora from the capital city of the United Kingdom – London, you’ll have to make at least 2 stops on the way. Why? It’s because of the simple reason that these two places are just too far apart. However, that shouldn’t discourage you, as we placed this destination on our ‘How to get to Bora Bora’ list for a reason. You can board a plane from London to Los Angeles, which will take you something around 11 hours. Then from there, you can fly to Tahiti with an 8.5 hour-long flight before you finally head to Bora Bora. Maybe closer would be to fly to Paris and take a plane to Tahiti from there. The journey will take 22 hours with one stop and then another 45 minutes to get from Tahiti to Bora Bora. In any case, you can access it without a big trouble. The only minor setback may be the fact that almost all flights arrive in Tahiti during the night, so you’ll probably have to spend the night there. If you’re searching for a way to organize all those flights without a headache, head to TrailFinders. They’ll help you with the booking and the whole experience. Your first thought connected to these two is, surely, “They’re too far and almost unreachable.” Wrong. No place is unreachable nowadays. And people from India, too, have a way to visit the island of their dreams. The fastest and cheapest way to get there remains the direct flight. There’s nothing better than placing your luggage next to you and relaxing on the plane’s seats until the stewardess shouts we’re here. That’s why aim at that when you plan the voyage or at least for a one stop flight. You can either board the plane from New Delhi’s Indira Gandhi International Airport (DEL) or from Hyderabad. Also, the airport Chhatrapati Shivaji in Mumbai is the perfect connection for one stop flights. One way or another, you’ll end up firstly in Tahiti and then go to Bora Bora from there. Usually, visitors spend the night in the capital city of Tahiti – Papeete due to the flights’ late arrival. So, be ready for that, as well. The whole distance between India and Bora Bora is more or less 9.000 miles and the trip will last roughly more than 19 hours. That’s quite plenty, but it’s a pleasure you don’t want to miss. You can plan your whole holiday with the help of eTahitiTravel. There you’ll get the needed information on the flights and the bookings. The best way to get to Bora Bora from Malaysia is to fly on the line Kuala Lumpur – Bora Bora and back. Malaysia Airlines is the right deal for this trip. You can check out this site to find cheap flights that suit you. A little trouble for you may be the fact that the journey lasts for more than 15 hours and the round trip costs from RM 10.040. Don’t stick to the duration so much, though. You’ll probably need to arrive at the airport earlier due to the checking in, finding a taxi and stuff like that. Another useful information is the distance of 11.883 kilometers, which is not to be ignored. But the pleasure is all yours when you first see the cottages above the marvelous green lagoon and the breath-taking sandy beaches. After all, the flight is direct, so you don’t have to worry about stops in other cities before reaching the desired Bora Bora airport except for the possible one in Tahiti . Just make sure that you carefully plan everything before you take off, as Bora Bora is an expensive destination. It requires a thorough research on the hotels and flights that will fit your pocket. That’s why head to Expedia and take a look at their vacation packages. Fly from Toronto to Seattle and then board a plane to Honolulu. Once you arrive there, purchase tickets for a plane to Tahiti and finally another one from there to Bora Bora. It seems like a rather long and tiring journey, but that’s just how things go. Mind that the flight from Seattle to Honolulu will last for around 5 hours and another 5 hours from Honolulu to Tahiti with the final 2 hours to Bora Bora. You can take a trip with fewer stops and fly to Los Angeles, first and then to Tahiti. From there, you can reach Bora Bora with Air Tahiti. This route will last for roughly 7-8 hours, which is a lot better in terms of length. If by any chance, you’re reluctant to pass through the U.S. the best alternative stops are Chile and Japan. After your arrival there, you can take a plane to Tahiti without further trouble. Whatever you choose, the distance between Canada and Bora Bora is more than 9.000 kilometers, which makes the length of the flights totally understandable. For more information on flights and vacation packages, check out this site. Auckland in New Zealand and Bora Bora are separated by no more than 4.000 kilometers. Do you know what that means? It indicates that the flight won’t last so long and you’ll have the chance to experience all the perks of flying in a plane. The airport Christchurch Intl in New Zealand is the most popular connection for one stop flights between Auckland – one of the biggest cities in New Zealand and Bora Bora, so you can start your journey there. 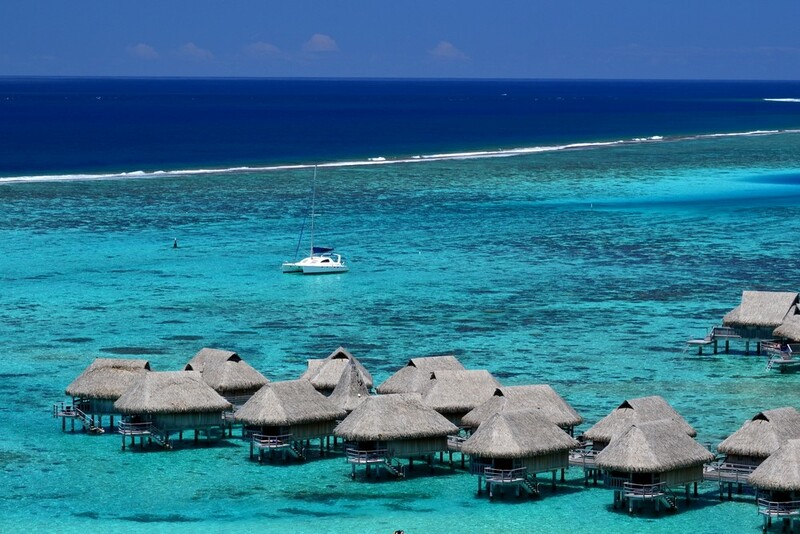 Another option is from Auckland International Airport (AKL) to Bora Bora’s Motu-mute Airport (BOB) with one stop at the Faa’a Airport in Papeete. This flight will take you something like 5 hours. That’s nearly nothing in comparison to the natural beauty you’ll see unraveling before your eyes. Watch a movie, take a nap or leaf through a magazine and you’ve reached the island of your dreams. Only, consider that the flights arrive in Papeete, usually, in the late or early hours, so you’ll most certainly have to spend the night or day there. Having said that, you should calculate Papeete’s hotel in your budget, as well. To get interesting yet affordable deals for your holiday or honeymoon or business trip to Bora Bora, head to Our Pacific. And for getting the cheapest airplane tickets, click this site. New Zealand and Bora Bora have never been more reachable.